Neither Miami nor Florida State is back where they want to be- on top of the college football world they once ruled. But they are getting closer. For proof positive, take a look at this week’s NCAA statistics. Florida State leads the nation in sacks with 25. Miami ranks second. Miami leads the nation in tackles for loss. Florida State is second. That sounds like the rivalry days of old, when behemoths like Warren Sapp and Corey Simon were plugging the line of scrimmage; studs like Ray Lewis and Marvin Jones were de-cleating opposing running backs, and athletes like Ed Reed and Deion Sanders were plucking passes out of the air and racing the other way for a pick six. For all the offensive stars that have come through these two college football powerhouses—and there have been plenty--the programs’ have been at their best when their defenses have been dominant. So it should come as no surprise that those aforementioned lofty national defensive rankings have produced a pair of nationally ranked teams. What is surprising, at least from a Florida State perspective, is how quickly FSU’s defense has gone from dreadful to a handful. The ‘Noles were abysmal a year ago, ranking 108th in total defense and giving away real estate by the acre. But this year they have jumped 87 spots to 21st in the country, numbers that would leave even Enron officials impressed. FSU is allowing roughly 150 fewer yards per game than a year ago. So how have they done it? Scheme, psyche, schedule, and of course players. Let’s start with scheme. After a quarter century of Mickey Andrews’ man to man principles, FSU’s defensive scheme under first year coordinator Mark Stoops is primarily zone-based. As a result of the change, FSU is playing better team defense than a year ago and swarming to the ball like Seminole defenses of old. There have been fewer big plays allowed because in the zone system there is generally always another defender nearby to help thwart a gain. Additionally the zone concept has allowed some new wrinkles for Florida State, like the corner blitz that Xavier Rhodes is perfecting. 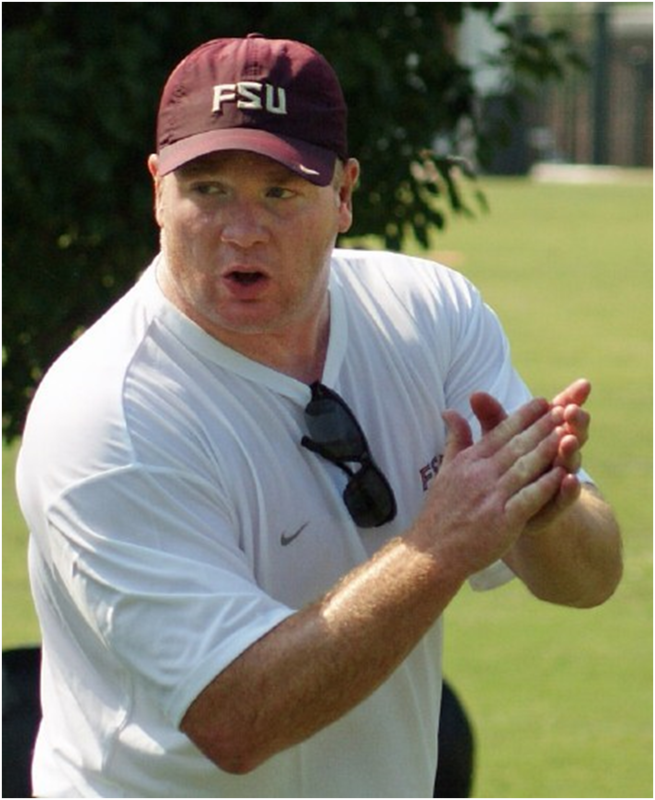 Without getting much more technical, suffice it to say that FSU has bought in to Stoops’ defense and with that comes greater trust in one another, and in turn a greater defense. Mark Stoops may not have realized it when he accepted Jimbo Fisher’s job offer to run the defense at FSU, but his job title should have been Defensive Coordinator/Defensive Psychologist. More than implementing a new scheme, renewing the shattered confidence of the defensive players has been a big key to the Seminole resurgence. Stoops inherited a group that was battered and beaten down a year ago and they lacked confidence as a result. The first thing he did when he arrived was wipe the slate clean and give every player a fresh start. Now he has a group that is playing with conviction, instead of hesitation. Make no mistake- the schedule has played a part in the meteoric statistical rise of FSU’s defense. Other than Oklahoma, FSU has faced an FBS school in Samford, two schools with true freshman quarterbacks in BYU and Wake Forest, and a Virginia team that went 3-9 a year ago. That’s not to diminish what FSU has done defensively, but it’s likely the ‘Noles D will drop down in the rankings at least a little bit by the time they are through playing more seasoned and talented offensive teams like Miami, NC State, Clemson, and Florida. From a personnel standpoint, FSU has made a huge jump, literally. An undersized defensive front a year ago has grown up already, even though 7 of the 8 guys on that front are freshmen or sophomores. And though the defense as a whole is very young, it is obvious there is talent on the field for FSU. Brandon Jenkins is an emerging star at defensive end; Everette Dawkins is a beast in the middle up front; Mister Alexander has gone from afterthought to an NFL career as he’s grown into the linebacker position; the secondary has some young studs in big corner Xavier Rhodes and big playmaker Greg Reid. And that’s without mentioning some of the most highly recruited players on defense like Nigel Bradham, Christian Jones, Jeff Luc, Lamarcus Joyner and Jacobbi McDaniel. Add up the above ingredients and it is easy to explain how FSU has cooked up such dramatic improvement defensively. This group has gone from laughed at to lauded in less than a year, from bad to good just like that. But now comes Miami, a team that can turn things from good back to bad just as quickly. The ‘Canes have an experienced quarterback in Jacory Harris, one of the top receiving corps in America, plenty of skill in the backfield, and a big, athletic offensive line. Miami is the school and the program that FSU has always used as a measuring stick. We’ll have a lot better measure of how good this FSU defense is after Saturday night in South Florida.